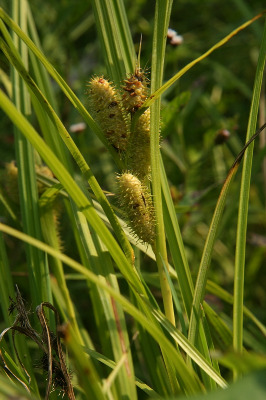 Ditches, moist fields, thickets, and wet open forests, often in disturbed sites. The disjunct Alcona Co. record is from the shore of Hubbard Lake, in 1950 (Hebert, s.n., ND). MICHIGAN FLORA ONLINE. A. A. Reznicek, E. G. Voss, & B. S. Walters. February 2011. University of Michigan. Web. 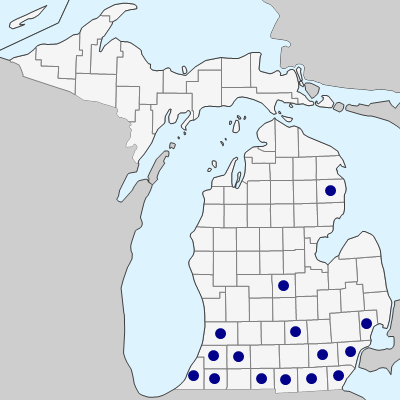 April 21, 2019. https://michiganflora.net/species.aspx?id=965.